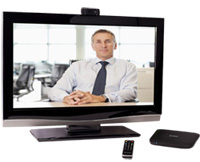 FREMONT, Calif. and MORGES, Switzerland, July 20, 2011 - Logitech International (SIX: LOGN) (Nasdaq: LOGI) today announced the acquisition of Mirial, a Milan-based leading provider of personal and mobile video conferencing solutions. Mirial will be integrated into Logitech’s LifeSize division. With the acquisition of Mirial, LifeSize now offers a more comprehensive portfolio of universal video collaboration solutions, from conference room endpoints and infrastructure to now including best-in-class desktop, tablet and mobile video calling software. Mirial brings to LifeSize strong leadership in extending open, interoperable video collaboration solutions to anyone, anywhere on nearly any mobile device through Mirial’s standalone video software clients for the PC and Mac, client/server enterprise video software solutions, and service provider offerings. Mirial supports a broad range of iOS and Android devices including the iPhone 4, 3GS and iPad 2; HTC EVO, Desire, Incredible, myTouch 4G, Sensation and ThunderBolt; Motorola Atrix and Xoom; Samsung Epic 4G, Galaxy S and Galaxy Tab as well as Google Nexus S and Dell Streak. Companies are increasingly expecting their business-class video conferencing solutions to work on both tablets and smartphones. With shipments of tablets into the enterprise expected to reach more than 49 million in 2015, according to Frost & Sullivan, support for video collaboration on these devices has become a key customer requirement. Mirial’s enterprise desktop and mobile video conferencing solutions address one of the most substantial challenges to the adoption of video calling across the enterprise: using video to connect with remote colleagues and partners on a variety of mobile devices and networks. With Mirial, LifeSize now offers customers true mobility with interoperable enterprise video conferencing software solutions for distributed desktop and mobile users, taking video collaboration one step closer to true ubiquity. Mirial products are expected to be immediately available through LifeSize and will be integrated into future LifeSize products and services, enabling new and existing customers to enhance their video calling networks, reaching more people on more devices. View the announcement on the Logitech website. Logitech, the Logitech logo, and other Logitech marks are trademarks and may be registered. All other trademarks are the property of their respective owners. For more information about Logitech and its products, visit the company’s web site at www.logitech.com.